Fridge To Go insulated lunch bags pack the chilling power of a fridge for up to 8 hours*. A removeable chilling panel provides the cool whilst the durable TempGuard fabric interior keeps it cold. Pack a healthy lunch with ANY food for the day and because it’s cool and fresh it is more likely to be eaten and not come home! BPA-free, PVC free and lead free. 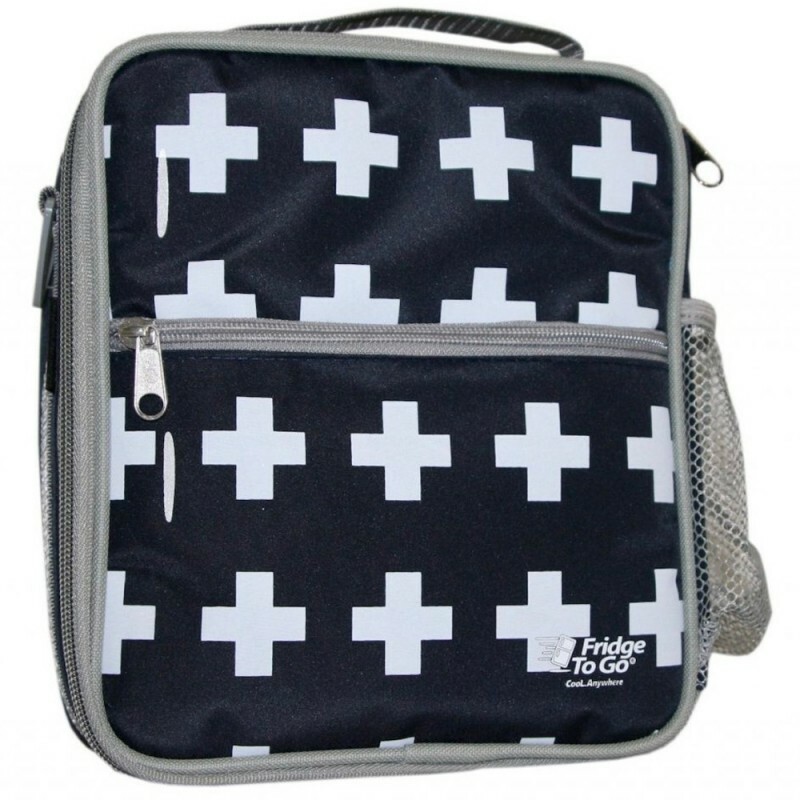 Fridge To Go lunch bags have a removeable patented chilling panel that can be frozen, and then once secured inside the bag the durable TempGuard fabric interior keeps it cold for up to 8 hours*. The special Tempguard fabric that lines all Fridge-to-go insulated bags helps maintain the chill longer than traditional insulated lunch bags and reduce sweating and wetness. You can also freeze or refrigerate the entire bag without removing the panel. 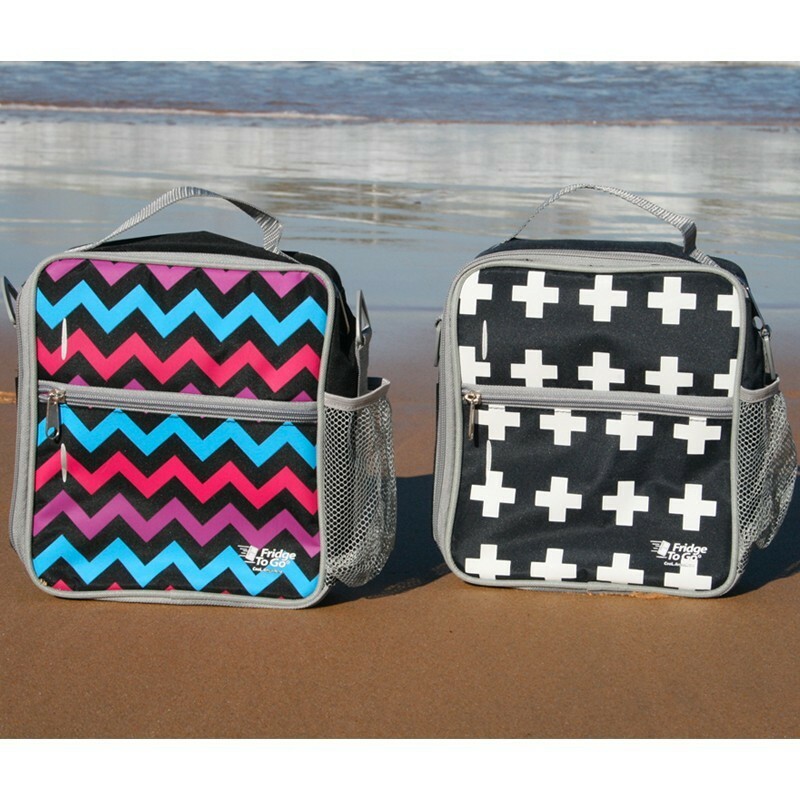 The compact design of the Fridge To Go makes it perfect for lunches, the beach, baby formula, picnics, camping, sporting events and or anytime need a cooler! *Cooling results may vary depending on starting, ambient and onset temperatures, and keeping the bag zipped closed as much as possible. You can even put room temperature food and drink inside and it will chill it in around two hours. Most soft insulated lunch bags contain toxic PVC ( phthalates are used to make polyvinyl chloride (PVC) or vinyl flexible and pliant) and some contain lead in the fabrics. The manufacturer has provided test results to show there is no lead, PVC or BPA. 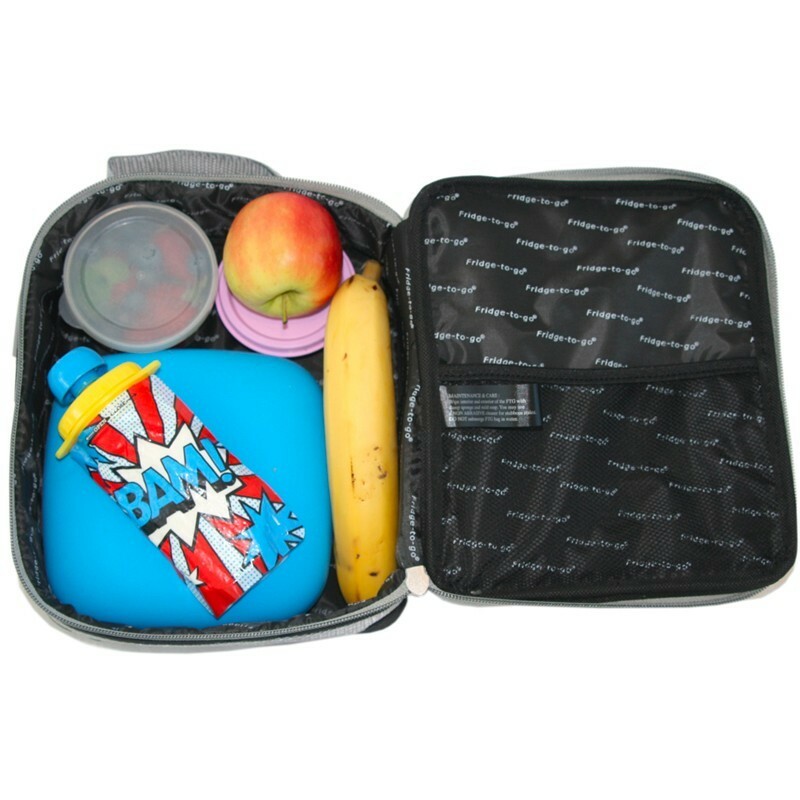 Reusable lunch boxes help you save money, time and waste going to landfill. Non toxic removeable chilling panel made from biodegradable plastic filled with purified salt water. Keep the bag zipped and closed as often as possible, including after the contents have been eaten as this helps to reduce condensation and prevent mould. If the bag returns home with some condensation ensure it is left in the sun/out to dry. Encourage children to keep the bag zipped up and explain why to help them learn to drive the bag themselves. Whenever necessary give your bag a good old fashioned hand scrub - with a soft clothes brush, using dish washing soap and dry in the sun. Use baking soda/vinegar/eucalytpus oil and water to give the bag a good clean out on a regular basis. Wherever possible dry the bag out in the sun for a natural method of bacteria-cleansing. Bags with the panel removed can be places in a delicated cold water wash cycle in the washing machine occasionally (e.g. each school holidays) to keep them clean and fresh -- but please note that this may reduce the lifespan of your bag. Internal: 20cm W x 23cm H x 8cm D.
External: 21cm W x 24cm H x 9cm D (approximate). Browse all our insulated lunch bags.